"Off the Record Q & A with a Local A.M.E."
Dr. Larry, I’m told ECG’s are transmitted to the FAA as they are taken. Is this true? What is an ECG? What does it show? Answer: A heartbeat occurs when a little spark near the top of the heart causes the heart muscle to contract. Stick-on skin electrodes pick up the electrical energy as it travels down the heart muscle to the tip of the heart, creating an electrocardiogram. An electrocardiogram, or ECG or EKG, displays the rhythm, direction and energy of the heartbeat. In the typical evaluation, known as a 12-lead ECG, the electrical pathway is viewed from 12 different positions. Like radar revealing an airplane’s course, ECGs indicate when the heartbeat deviates from the norm. Irregular heartbeats or altered pathways can indicate damaged heart muscle. Many pilots express concern the ECG is transmitted to the FAA before it can be checked for errors, which could lead to unnecessary down time. Typically an AME obtains the ECG then reviews it with the pilot prior to sending. In our office, if we find something abnormal, we discuss its significance and if necessary, begin an evaluation to assess the potential problem. Only after this discussion do we fulfill the requirement to transmit the ECG to OKC. Rarely will an ECG lead to a loss of license. When potential problems do appear, down time is possible while further evaluations are undertaken. When the pilot and AME work together, the pilot has the best chance of returning to work ASAP, often within the time the AME is allowed to issue a certificate – 10 to 14 days. ECGs are required only for first-class medical exams, once after a pilot’s 35th birthday, then once every 12 months over age 40. Don’t hesitate to ask your AME to review the ECG before transmitting to OKC. Remember, ECGs are a reflection of one’s wellness. Keep the heart healthy with good cardio-type exercise, minimize one’s risks (cholesterol, sleep, stress, nicotine, alcohol) and the outcome should be a good one. Gregory Barton: The Golf Guy who Writes great books! Pilots an golf just seem to go together, and for those who carry clubs around the world on their trips show a bit more dedication than most. But when you’re going to be stationed in Jakarta for a month—why not? This is where I learned to golf. How could I not with four of the best teachers? “Your legs are too close together,” one captain said. “Your legs are too far apart,” another chimed in. “Use the power of your body as you swing,” a flight engineer added. “Make sure you look at the ball.” You know how those pilots are—always telling you how to do it better. True Golf Story: A 747 Northwest Airlines captain had to give up golfing for a few years after he lost his clubs—he threw them into the water. Every golfer has a story. What could be better than giving that golfer in your life a compilation of golf stories? Gregory G. Barton’s book, ON THE FRINGE and other uncommon tales of golf, was a fun read. I’m thinking this may be the gift to give that person who has everything—except the perfect game. This well written book is filled with golf stories that only a true golfer could enjoy. If you know a golfer, or you yourself swing a club, leave a comment and share your story, or just tell G.B. hello and you’ll be entered into a drawing to win an autographed book for you, or someone you love—and just in time for Christmas. Please follow Greg on Twitter at @GGuilfordBarton He would love to hear from you. 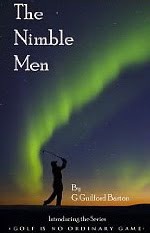 More great news… The kindle edition of Greg’s book The Nimble Men, golf is no ordinary game, is now available. This is a single story out of the compilation of stories. Click HERE for an easy download. 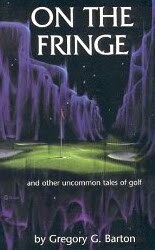 If you can't wait for the drawing, you can also purchase a copy of ON THE FRINGE and other uncommon tales of golf by clicking HERE. 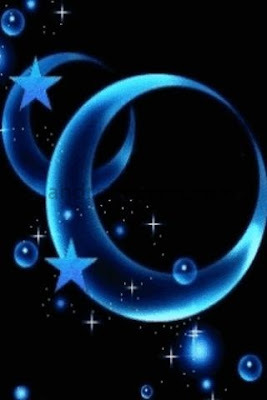 "Everything Happens in Perfect Timing with the Universe"
Ever hear the saying when the stars and moon align? Maybe they have. Last week I was given a trip that deadheaded me from Seattle to Detroit to Nagoya to sit for 48 hours. A flight to Honolulu to sit for another 35 hours, and a deadhead home. I was missing Thanksgiving, and spending 23 hours plus sitting in the back of planes around the world for a 7 hour flight. I have a huge remodeling project going on at home. My middle daughter is due to have her baby any day. Holiday decorating is waiting. Recurrent training pending. Final edits on Flight For Control in the process... The list goes on. I didn't have time to sit on a plane! Or did I? I finished my novel between DTW and NGO. I gave up the HNL layover and made it home in time for the first 1:30 a.m. call to babysit the big brother so my daughter could get to the hospital. (False alarm... my newest little granddaughter is in a holding pattern.) While nothing is organized at home, I managed to get the staining done after my grandson was sleeping last night. The point is... as much as I have to do, it always gets done despite what perceived obstacles are thrown in my way. In hindsight~ everything worked out as it should. Sometimes we have to sit back and accept when the Universe has a different plan than we do... it may just be better. "Thank you all for your giving happily to MoM all year, may your Thanksgiving day be a wonderful one.... we give thanks for you all being our friends, supporters and encourager's from the USA - you and your families! All the best wishes possible are coming from Kpong Airfield and the Medicine on the Move Team in Ghana to you in the USA as you celebrate this special day, may it be a safe and peaceful one! Take care and enjoy the day, we wish you were all with us over here - it is a bit warmer than 'chez vous' at this time of year!" We'll have a book signing event where proceeds go to Medicine On the Move...MOM... It will be spectacular! Everyone is invited. Date and location to be announced. 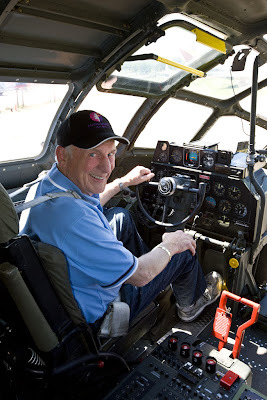 Taken earlier this year when I got checked out in a B-29. 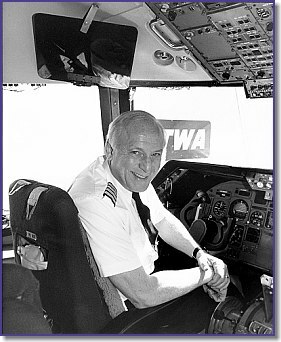 Barry may have started his flying career by ducking a flying shoe—but he ended it as a Captain with TWA in 1988. And ending his career is open for debate, as Barry is actively involved in writing, teaching and mentoring young pilots... and getting checked out in new (old) planes. Karlene: You’re one of the most accomplished, humble pilots, who has gone far beyond the realm of just flying planes, but to writing, educating, mentoring, and teaching, too. You also have one of the most unique stories. Can you tell our readers how Barry Schiff became interested in aviation and the obstacles you faced? The road through life is a fascinating series of forks, turns, and twists that often take us to unlikely and unpredictable destinations. 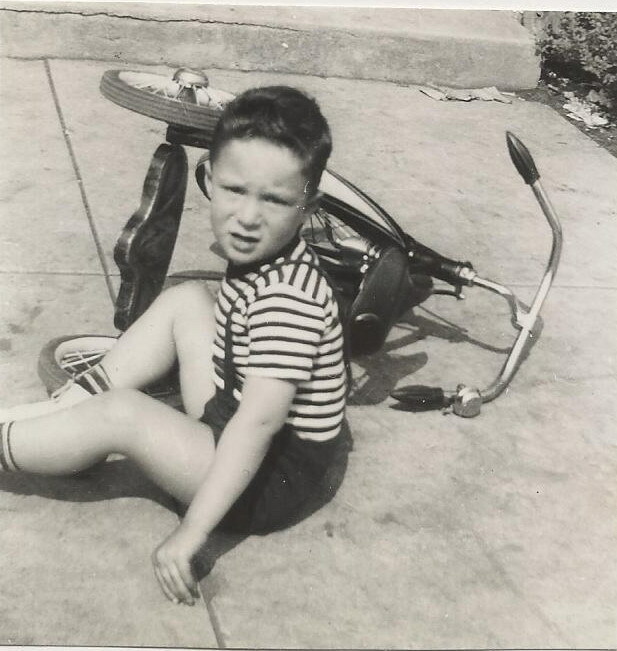 No one who knows me would guess that my aviation career was a direct result of my having been a juvenile delinquent. 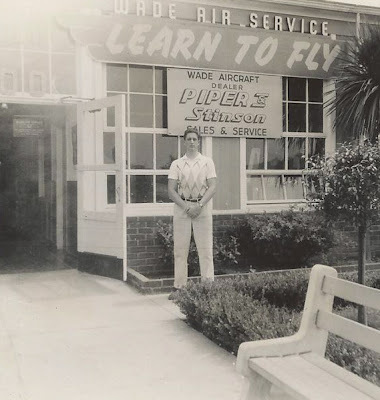 In front of a flight school at Clover Field in 1952 (age 14), but this is not the school at which I took lessons. I recall the seminal event as if it were yesterday. I was 13 years old and sat nervously between my parents as we faced the vice-principal of Emerson Junior High School in West Los Angeles in the spring of 1951. “Mr. and Mrs. Schiff, I believe that Barry’s behavioral problems are the result of his hanging out with the wrong crowd. I suggest that he be sent away for the summer, away from such bad influences. Otherwise,” the man in the suit warned, “Barry will become worse.” My parents agreed to have me spend the summer with my grandparents in New Jersey. A month later, my parents led me toward my first airplane ride, a North American Airlines’ Douglas DC-4 that would whisk me from Burbank to Wichita to Chicago Midway to LaGuardia. They could ill afford the cost of this ticket and would not allow me to forget how its purchase had wreaked havoc with the family budget. I sat next to a window and stared incredulously at what I saw. The iron wing stretched endlessly into the night like the arm of some prehistoric monster. I knew that the wings kept us from falling but did not know how. They did not move or flap or do anything to help me understand what prevented gravity from having its way with the iron monster. Blue fire streaked from roaring engines bolted onto the wings. They snarled and shook incessantly as if to keep some imaginary enemy at bay. If I had pressed any harder against that window, either it or my nose would have broken. Curiosity drew me to the library in my hometown of New Brunswick (partly because I got bored of throwing freshly laid eggs at the chickens running around my grandparents’ back yard). There I discovered a 1945 hardbound book entitled The Science of Pre-Flight Aeronautics, another seminal event. I was totally consumed by its 774 pages and found myself drawn deeper into its esoteric subject matter. There I encountered those words now so familiar: Bernoulli, Venturi, airfoil, camber, pitot. The wing, I discovered, was so elegant in the way it worked without really working at all. 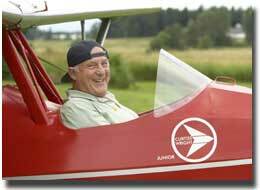 As you might know, I learned to fly in taildraggers. 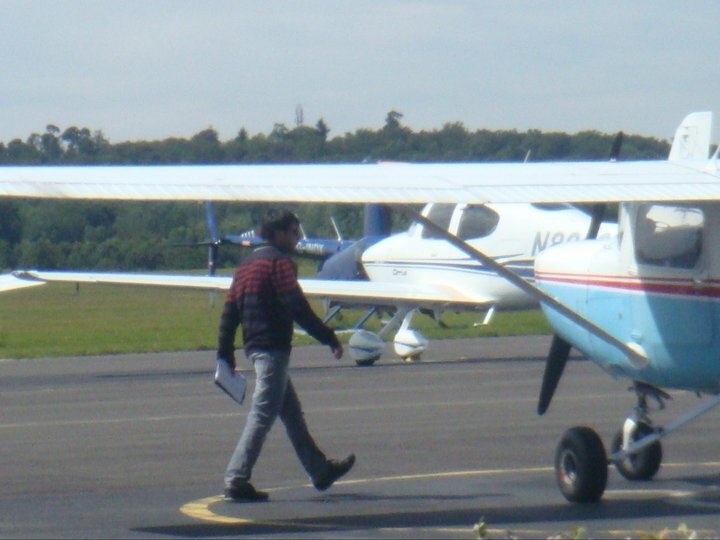 I could not fathom all of what I read, so I hitchhiked to nearby Hadley Airport hoping that I would find friendly pilots to help me better understand the more complex concepts. It surprised me that they did not know as much as I had expected. 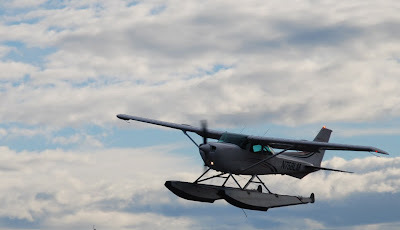 There I was offered a flight in a J-3 Cub, which my grandparents absolutely forbade me to accept. Before summer’s end I had read all five of my library’s aviation books. I could hardly wait for the airline flight home and to tell my parents about my burning desire to fly. The response was predictable. “You will not take flying lessons,” my father barked sternly. “You will become a doctor or a lawyer or other professional.” I refrained from informing him that there were professional pilots lest his belt would have found bottom, my bottom. and instructed, Aeronca N81881. 1956 (age 18). That did not stop me from hitchhiking to nearby Clover Field (now called Santa Monica Municipal Airport) and sneaking onto a taxiway where I stuck my thumb into the air whenever an airplane taxied by. (If I could hitch a ride in an automobile, I reasoned, why could I not do the same in airplane?) I was desperate for a flight in a little airplane, and I got one. A year later found me with new and better friends at school, but I was still enough of a rebel to forge my mother’s signature on the application for a student pilot certificate. I also got a job at the airport working in exchange for dual instruction. I told my parents about the job but not its purpose. They had wondered why I was always so broke. I did not have the courage to tell either parent that I was taking flying lessons. I did not have to. "My hero, the flight instructor, 1956, age 18. 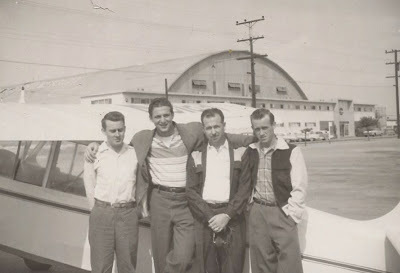 This in front of the hangar at Bell Air Service, where I did learn to fly"
One day my instructor called home to let me know that the Aeronca “Champ” (N81881) that I was scheduled to fly later that afternoon was in the shop and would not be available for my flight. He left that message with my father. Oops. Enough time passed between the call and my arriving home from school for my father to develop a fuming rage. He chased me out of our apartment and into the nearby alley. At 14, I was thankfully fleeter of foot, but I did notice one of his thrown shoes sailing over my head. I slept in a neighbor’s garage that night and developed the courage to go home the next morning. 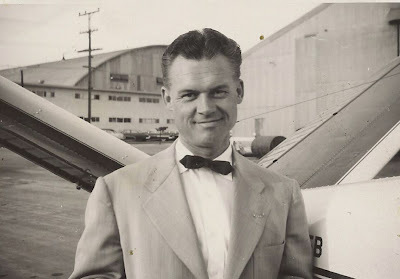 When my father saw that I was determined to pursue my passion, he reluctantly agreed to allow me to continue flying because it seemed to have given me a productive direction and diverted me from earlier behavioral problems (or so he thought). Karlene: Did you parents ever approve of your career? Barry: My parents never really approved of their elder son becoming an aviator until I was hired by Trans World Airlines in 1964. This is when they learned that they would be given free passes to travel anywhere along TWA’s global route structure. 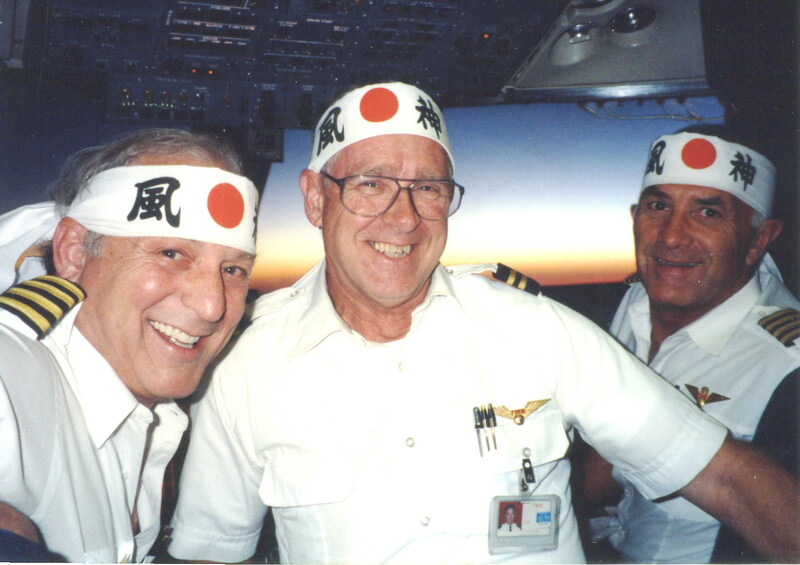 "We figured that if that headgear helped the Japanese find Pearl Harbor that they would help us find HNL." 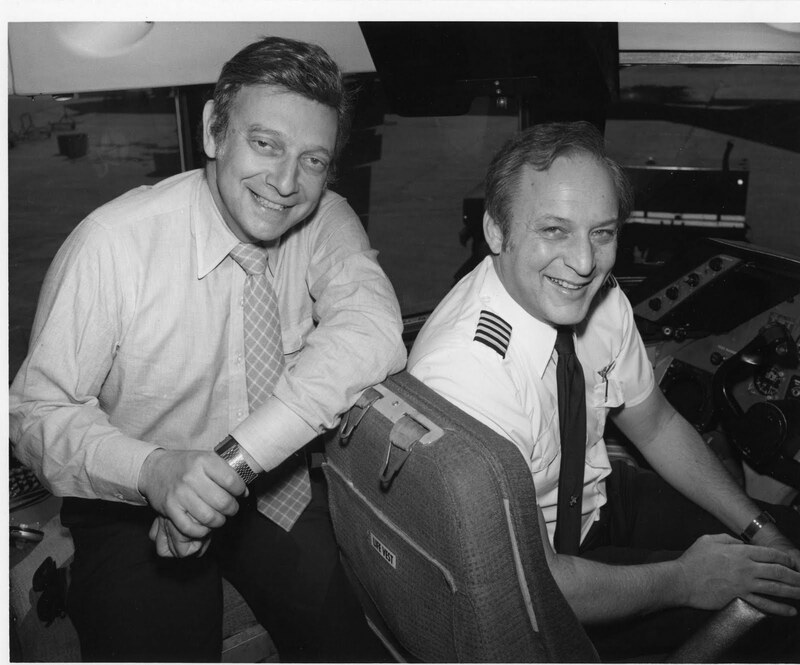 During his 34-year career during he flew everything from the Lockheed Constellation to the Boeing 747 and was a check captain on the Boeing 767. He also earned ever FAA category and class rating except airship, as well as all possible instructor ratings. Working hard: Athens-JFK flight in an L-1011. Karlene: You’ve flown more hours in more types than I could ever hope to fly… I think a world record. How many hours and types are you up to these days? And of course we want to know which is your favorite plane? 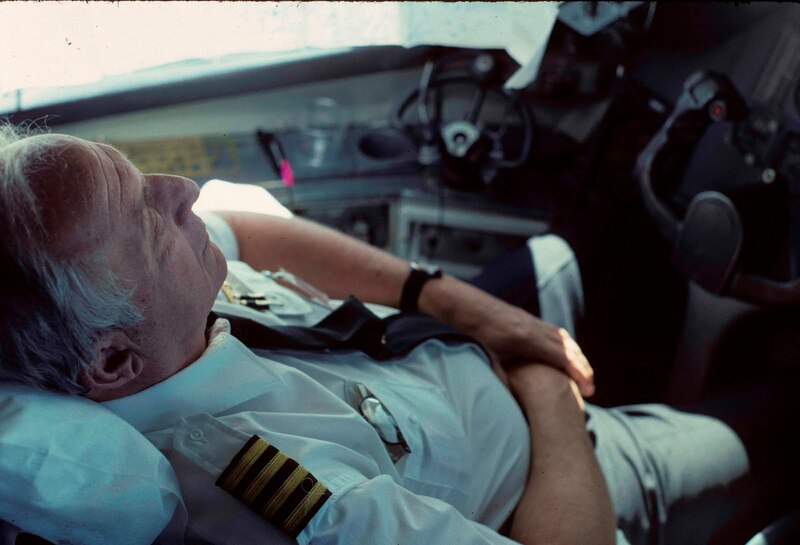 Barry: Currently I am at almost 28,000 hours and have flown 325 types. It is difficult to specify a favorite type because each has a different role and purpose. 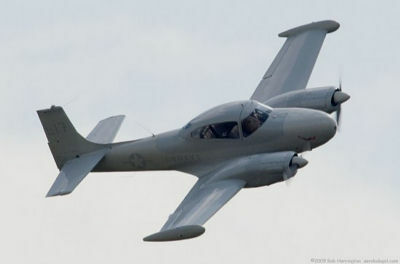 Having said that, I would choose a P-51 for pure unadulterated excitement, any of several open-cockpit biplanes for going on a romantic flight at twilight on a warm summer evening, the L-1011 as my all-time favorite jetliner, and the list goes on, depending on my mood and the purpose of the flight. I wrote two novels, "The Vatican Target" and "Flight 902 is Down." 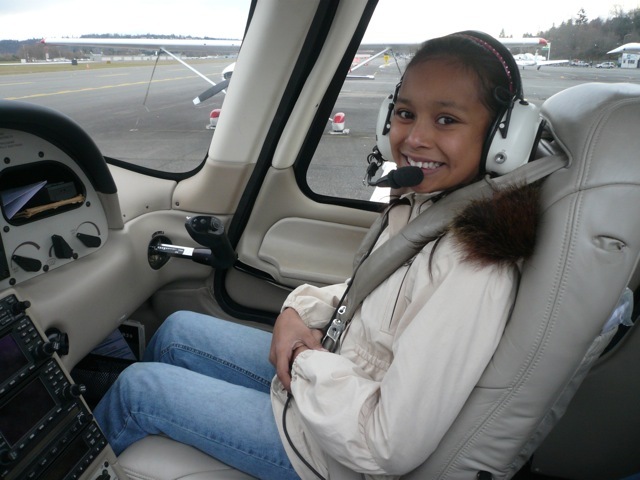 Karlene: If you could give one tip for the next generation of pilots, what would it be? The same is true in pursuing a professional piloting career. A person should never allow himself or herself to become discouraged, never waver from the task at hand, and never let your eye to wander from the target. The goal is achievable irrespective of how tortuous the route. 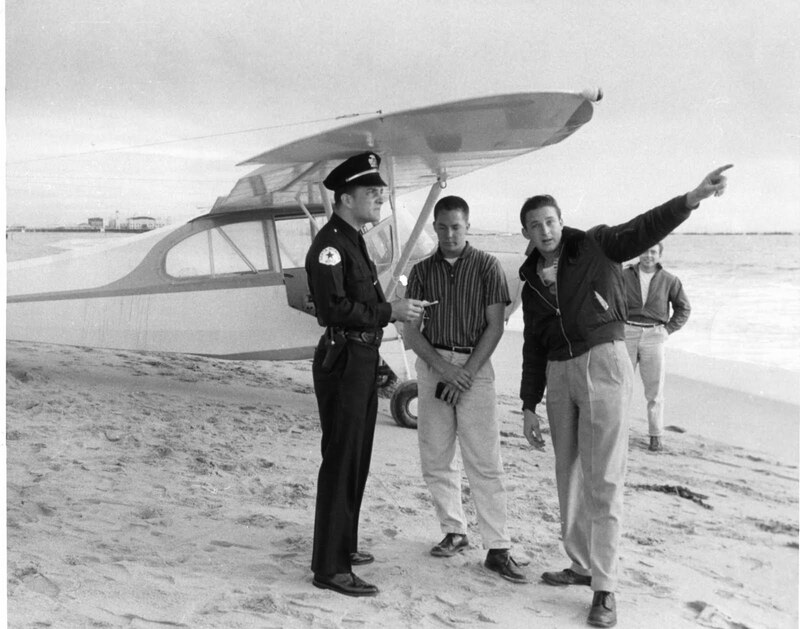 Barry on the right, and his student, Griff Hoerner, after an emergency landing on a Santa Monica beach.The cop gave him a ticket for illegal parking of a motor vehicle on a public beach, but the judge threw it out of court. Karlene: Have you always had a passion for writing, or did you begin writing because you had so much to say? Barry: I entered the writing profession through the back door. Again, this is something that I wrote about many, many years ago. Click HERE to read more. Let’s just say he sold his little publishing company to Jeppsen. when I started an aviation publishing business, Aero-Progress, Inc., in 1959 (age 21). 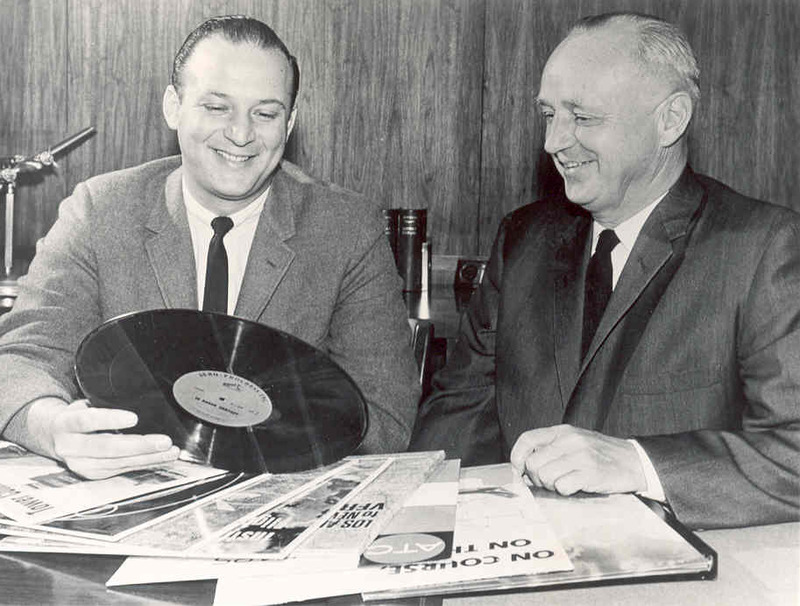 I sold that business to Jeppesen in 1963, the year before I started with TWA. Karlene: Many articles you'd written discussed "personally developed concepts, procedures, and techniques" Would you share one technique with our readers? Barry: The first one involved turning around following an engine failure shortly after takeoff. The "rule" said never to do this, but it seemed illogical. There were times when such a maneuver could be safe. So I researched the subject and have been writing about it every since I first wrote about it in 1959. Since then, many others have done the same. I also developed the procedure of stopping the prop at high altitude following an engine failure to improve glide range. I also developed the concept of pressure-pattern navigation for light airplanes at low altitude. Karlene: Your training books... Proficient Pilot 1 and 2, Flying wisdom, and Flying the golden Science, I know touch on a different area of training. Could you tell me in brief sentence what the readers will get when they read each? What your intent was when writing. Barry: The purpose in my writing usually is to present material in a different manner so that the subject matter becomes easier to understand. I have always strived to simplify complex subjects without sacrificing accuracy. Karlene: You flew the Spirit of St. Louis, and you tell us what if felt like taking her into the sky? Barry: I felt privileged, honored to have a taste of what Lindbergh experienced. It was like flying across the pages of history. I didn't want to come down. Karlene: You started your son out early teaching him how to fly a glider. But is he flying for an Airline today? Barry: Brian started out flying for TWA when he was 21 years old and became a Boeing 727 captain. Then when American Airlines purchased TWA, he became an AA pilot. on the occasion of my retirement flight, June 21, 1998. Karlene: Your grandson is darling. 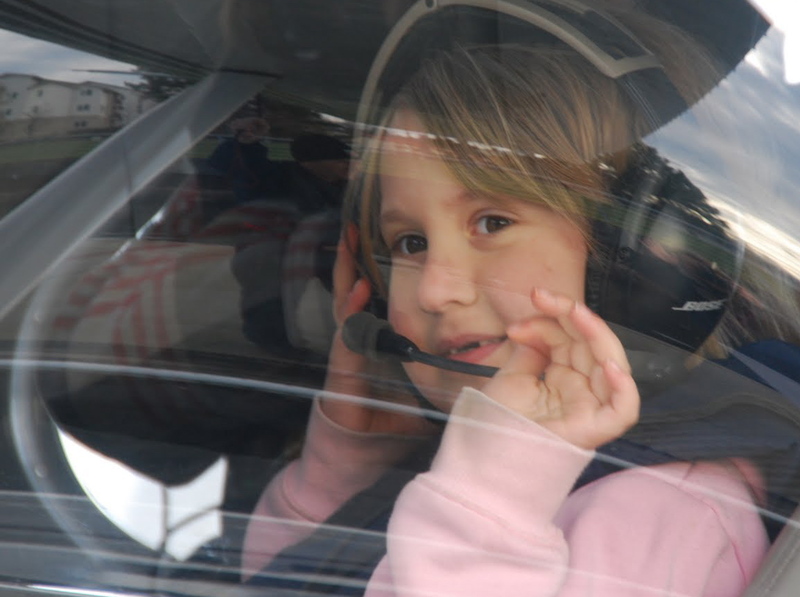 Do you think you have another aviator in your future? Barry: I hope so, but that, of course, would be up to him. I never pushed any of my children to become pilots. I felt it important that the desire to fly develop within their souls. All I ever did was to encourage and attempt to facilitate whatever it is they wanted to do. The passion for flight has to come from within. 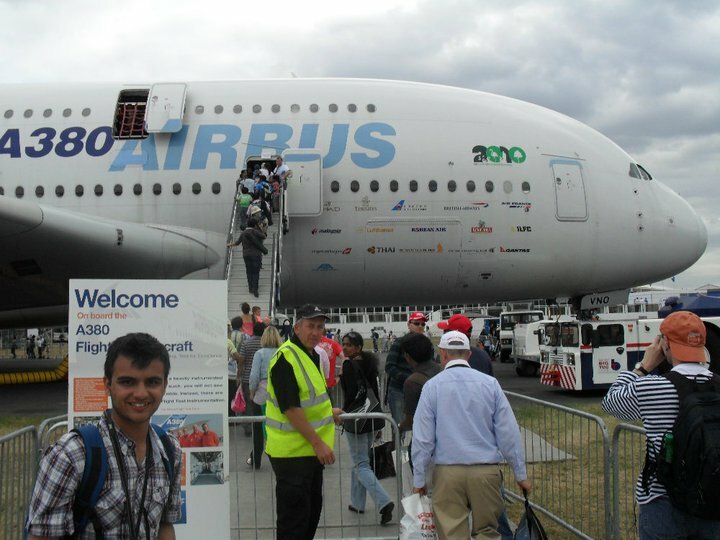 All I could do is hope that they would catch my infectious enthusiasm for aviation. Two of my kids did; the other two did not. 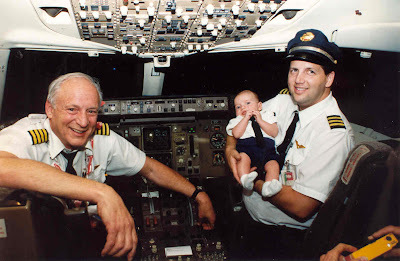 Barry and his son, Brian, and his first grandson, Brett, at the end of his final flight. and the event occurred on Father's Day, 1998. "I finally mastered tricycle landing gear (while filming a video about how to fly a taildragger)"
Barry has mastered more than the tricycle landing gear, he's mastered life. He's giving back too! Click HERE to learn more about the $3000 scholarship he's gifting out. 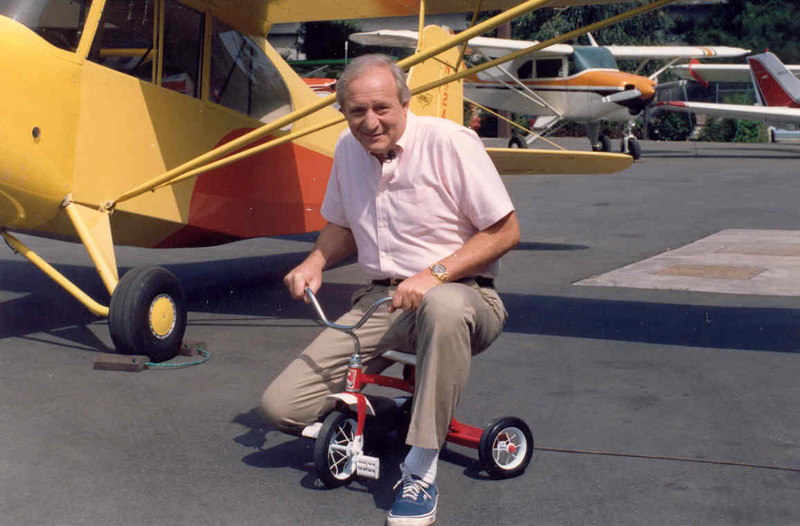 Thank you Barry for all that you've given to the world of aviation! My family has a tradition of taking turns sharing what we’re grateful for during the year. I won’t be with them today, but tomorrow I’ll be home, and will be just as grateful for each of them tomorrow, as I am today. Each one of us has someone we can be grateful for in our lives. The mentors who've molded and shaped our lives, and given us courage and confidence to follow our dreams. I have so many, but today is not my day. This is Barry Schiff week, and today I’m sharing Barry’s gratitude for two significant people in his life. 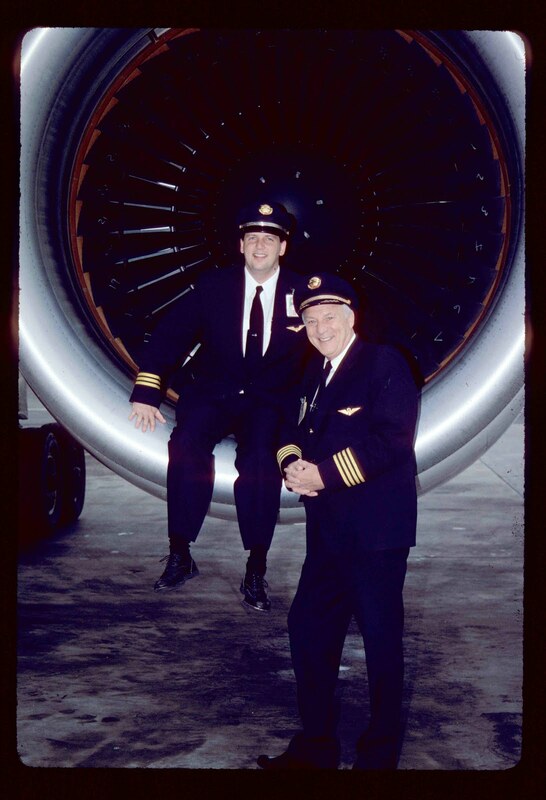 The pilots/mentors who gave him the gift of wings. Barry had said there had been “innumerable people who inspired, encouraged, and assisted my aeronautical growth," and today we’ll meet two—Paul Blackman, and Paul Bell. While they are no longer with us, their memory lives on, as did their impact on Barry. He kept his North American Navion at Bell Air Service, where I was working as a lineboy and learning to fly. My relationship with his magnificent airplane initially consisted only of towing it in and out of the community hangar, pumping fuel into the wing tanks, and cleaning the windshield. To me, there was nothing more alluring in the world than that immaculate Navion (N5227K). Its sleek lines and sliding canopy reminded me of the airplane after which it had been designed, the North American P-51 Mustang. 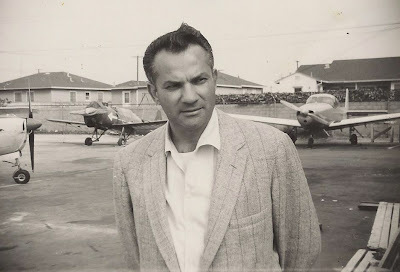 Blackman had been a bomber pilot during World War II and afterwards became an executive in the meat-packing business. “Barry,” he asked one day. “If I checked you out in my Navion, would you fly one of my cattle buyers to Visalia this weekend?” It was a rhetorical question, and Blackman knew it. Transitioning from an Aeronca “Champ” to a Navion was a giant leap. This was a big, heavy airplane. It had a hydraulic system and a panel so loaded with gadgets that it made me feel as though I were in the cockpit of an airliner. After some maneuvering, Blackman had me level off at 7,500 feet over the Los Angeles Basin. During that smooth, rock-solid flight, he turned to me and said that he thought that I could hold 7,500 feet just as easily as I was holding 7,600. Blackman had no tolerance for sloppiness. 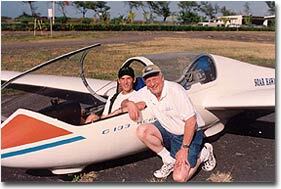 Blackman taught me a great deal about flying and patiently nurtured and molded me into a decent pilot. That weekend I flew Blackman’s cattle buyer to Visalia. His name was Harry Abdul. Eight years later, he and his wife would have a baby girl who eventually became famous as song-and-dance sensation, Paula Abdul. Little did Harry know that his 17-year-old pilot had only 120 hours in rag-covered, taildragging trainers and was commanding the Navion for the first time. As the years passed, Blackman’s and my roles became transposed. He relied on me to provide him with advice during biennial flight reviews and instrument proficiency checks. It seemed so strange teaching him techniques that he could not remember having taught me so very long ago. Every pilot should have a mentor during the formative years of his flying career, someone to provide support and encouragement. A special gratification comes from helping someone to reach a goal. Blackman played no small role in helping me to reach mine, and I will be forever grateful. 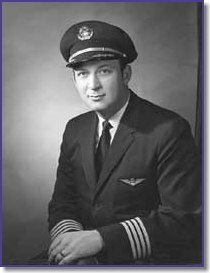 Another such person was Paul Bell, who owned the flight school where I worked as a lineboy for several of my mid-teen years. He trained me to become a flight instructor. No, not just a flight instructor. He taught me how to be a teacher. And then when I was 18 he hired me as his chief flight and ground instructor. He showed great confidence in me and incessantly encouraged my aeronautical growth. Sadly, both men are gone. Thank you Barry for sharing these stories and your gratitude of your mentors. We are all grateful for you. Who are you grateful for today? Leave a comment and get, yet, another entry into the autographed book giveaway. Removing the financial stress of learning how to fly! How much stress can one person take? “If only we knew. Crystal ball anyone? Given what we put ourselves through on a regular basis, it’s obviously an amazing amount. Fortunately, our bodies have incredible resiliency. Nevertheless, everyone has a breaking point. Do you know what yours is? Unlike the planes we fly, it’s challenging for us to tell when the effect of stress will cause calamity, and unfortunately, we don’t replace body parts before they fail. 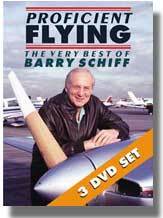 Thank you Dr. Larry... and now, a special Thanksgiving gift.... from Barry Schiff! Time to Remove the "Financial" Stress of Learning How to Fly! Barry Schiff is spending the week with us, and today he is reducing the financial stress of learning how to fly. He is running a scholarship to give $3000 toward one lucky winner to learn how to fly, up to their solo! Why is Barry Providing a Scholarship? 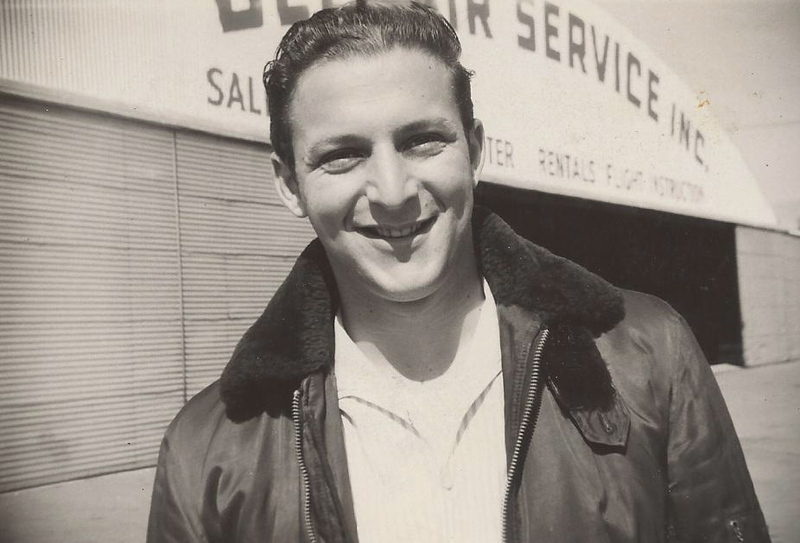 "Aviation has been good to me in a wide variety of ways. I cannot imagine how any other vocation or avocation could have provided me with such a lifetime of gratification and joy. Along the way and especially during my early years, there have been innumerable people who inspired, encouraged, and assisted my aeronautical growth. I would like to honor them." Words we can all live by. How is Barry Giving Back? The contest is open to any young man or woman who will have reached his or her sixteenth birthday by February 1, 2012. Before flight training can begin, however, the winner must obtain and provide a copy of their student pilot certificate. 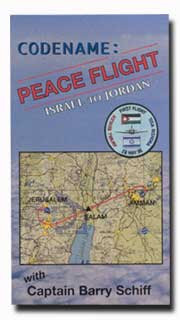 He or she must also provide parental consent to begin flight training if less than 18 year of age on February 1, 2012. He or she must not have reached their twenty-first birthday by the same date. Click on "Email Barry" on the bottom of the left-hand column. Attach a 500-word, double spaced, essay describing why you want to learn to fly. Grammar, spelling, and punctuation will count. Contestants must provide your snail-mail address, email address, birth date, and telephon number... all will be kept confidential. $3000 toward flying lessons at any flight school of their choice as long as it is in the United States. And more..! Barry tells me, "Almost all of the headset manufacturers have donated headsets. An aviation artist, Rick Broome, has donated a beautiful (and expensive) print. 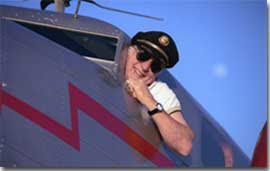 A pilot in Dallas, George Shanks, donated an AOPA membership. Mostly though, people have stepped forward with money to sponsor a number of other solo scholarships. I don't have permission, though, to give their names. Their generosity completely blew me away." Thank you Barry, and Mike, for giving back and supporting the future of our children. Good luck to everyone entering the contest. Remember to leave a comment here and you'll get another entry into the drawing for chance to win an autographed book from Barry. How does a young man with a passion for flight become a successful author? Not only did they record the low frequency ranges, but they recorded numerous other sounds of aviation—marker beacons, localizer, VOR, and DME identifiers, and a ground-controlled radar approach as the controller talked a pilot through an instrument approach by providing precise heading and sink-rate instructions. 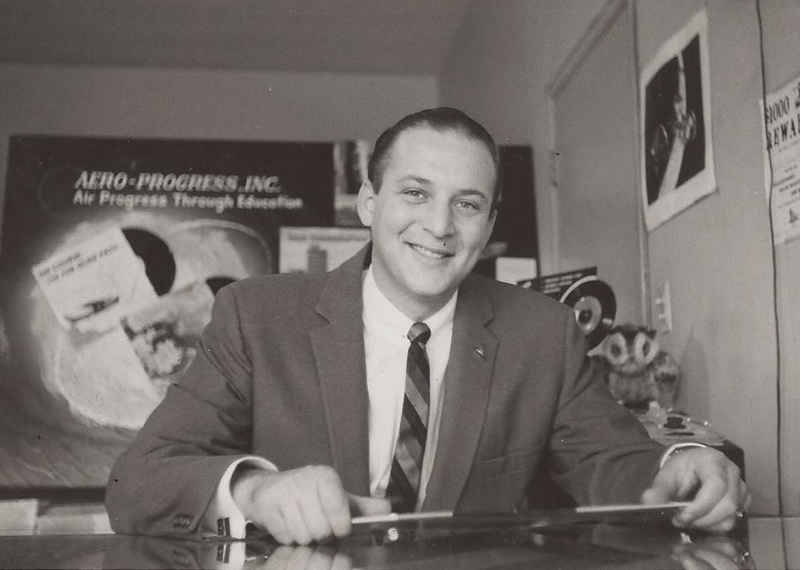 Barry’s small business, Aero-Progress, Inc., was eventually purchased in 1963 by Times-Mirror for its subsidiary, Jeppesen. If you’re a pilot—you know the power of that name. 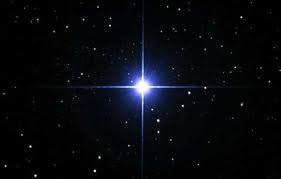 The stars were definitely shining on Barry. 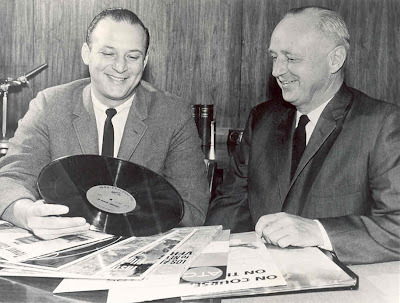 During that year, the editor of Private Pilot magazine, Robert Said, contacted Barry to tell him he liked his recordings and asked if he’d be interested in writing an article for their new magazine. Barry said, “I was flabbergasted. I barely squeaked through English Composition and didn't know the difference between a split infinitive and a dangling preposition. (I'm not sure that I do now.) But the prospect of being published had great appeal. Said was a Pulitzer Prize nominee and told Barry, "It is more important to write something about which people are interested, than it is to be a proficient grammarian." When Barry said, “Reading some of my early material makes me cringe in embarrassment,” I smiled. I’m sure we’ve all been there. But Barry’s words of inspiration on how to succeed in writing resonate with me, as they are so true. My favorite words-of-wisdom from Barry is the necessity of being thick skinned. “Most rewarding are occasional letters detailing how I wrote something that might have made someone's flying a little safer. Conversely, there are those who are spring-loaded to jump on and chastise me for my errors. One cannot write for the public and be thin-skinned. To paraphrase a printer's axiom, "everyone makes mistakes, but writers publish theirs." Barry also developed the procedure of stopping the prop at high altitude following an engine failure to improve glide range, as well as the concept of pressure-pattern navigation for light airplanes at low altitude. Wait until you see what Barry is doing for future pilots! You won’t want to miss tomorrow…Wednesday Wellness is dedicated to relieving stress, compliments of Barry Schiff. 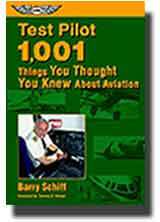 Leave a comment for Barry, and you’ll be entered in the drawing to win an autographed book, Test Pilot, 1001 Things You Thought you Knew about Aviation. Drawing to be held December 22nd. For we who fly, it's home"
For anyone who has discovered his or her passion, and is living it, knows the meaning of being home. 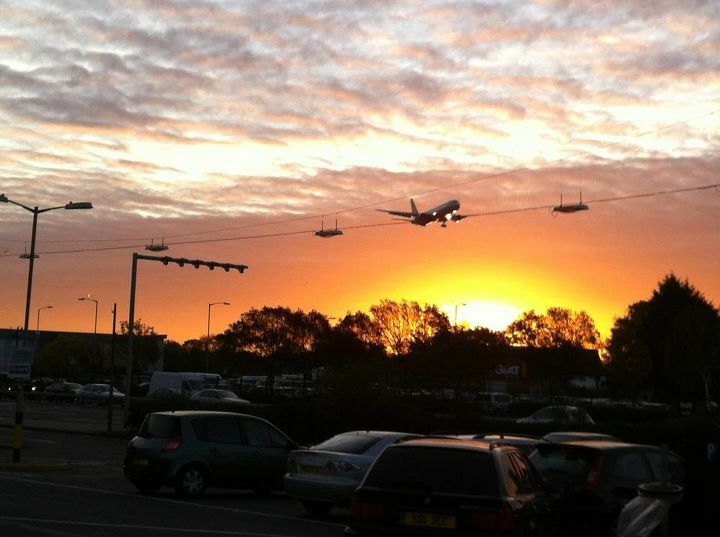 For pilots, it's in the sky. For writers it's sitting at their computer. For artist’s it’s behind the a lens of a camera or at the end of a paintbrush. Could there be anything better than making a living doing what you love? In honor of Thanksgiving, I have an extra special week all about Barry Schiff—Barry defines the meaning of home by welcoming you into his. Barry is an accomplished pilot, author, motivator, and he’s continually giving back to the community that’s become his life. I’m honored to have the opportunity to share his story. Throughout the week you’ll have many opportunities to enter a drawing to win one of Barry’s autographed books—the drawing will be held December 22nd. And one day this week, you’ll learn how to enter Barry’s 500-word essay for $3000 toward your solo! It’s people like Barry who motivate us all. Who are you going to motivate this week? Who will you give thanks to? Could a pilot be assigned a trip to deadhead from Seattle to Detroit for an 18 hour Layover. Then Deadhead 13.5 hours to to Nagoya for a 48 hour layover. A 7.5 hour flight to Honolulu, for a 35 hour layover. Followed by a deadhead to Seattle? Is this fiction... or the glorious life of an airline pilot on reserve over the holidays? What's the craziest thing you've ever done for work? Many young people have dreams and aspirations of greatness, but it takes someone with work ethics, energy, and ambition, to reach those dreams. Dipeet is that person. Depeet is originally from India where he started his love affair with airplanes. This was after watching "one" plane pass over his house every evening after he returned from school, for four to five years of his life. The Aviation Bug captured Dipeet at a young age, and he’s been working hard toward his dream of becoming a pilot ever since. 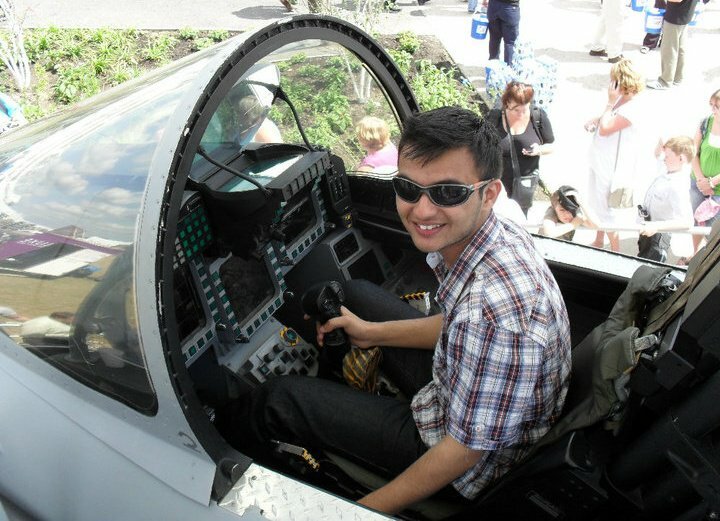 Depeet focused his life to immerse himself in with aviation in anyway possible—Teaching at Air Cadets, volunteering in aviation related events, and becoming a member of Air League. All of which have proven positive experiences for him. 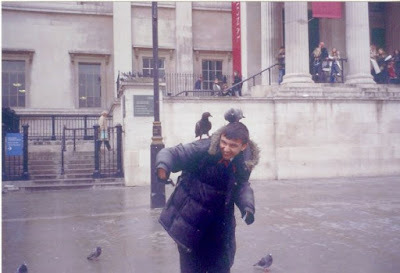 He’s currently living in London, and has been there for the six years. He also won and completed a flying scholarship. What was the best moment of his life? Soloing! He’s even written a diary to included the details— time, date, place, technical details, fun experiences— everything he could recall. Dipeet plans on writing a book one day, too. Karlene: Depeet how did you catch that flying bug? Depeet: ‘Bug’ of flying was already into me even before my first flying experience. I use to watch Airplanes take off from Mumbai international airport from my aunt’s house which literally next to the airport. I use to run from one end to another to have a second glimpse of take off. I use to record the Airline name and time when I saw it. At that time, I was 10 or less and had no idea why I had ever done that. Moving to London in 2005 and visiting Heathrow airport in pouring rain or harsh cold winter to see airplanes take off and land one day, it soon flourished into a more specific interest when I took my first flying lesson and the instructor said "you have controls"; this confirmed my earlier thoughts that being a Pilot is one of the most exciting professions that exists. Since that day I have made the Internet my best tool to find out about everything possible regarding this ambitious career. 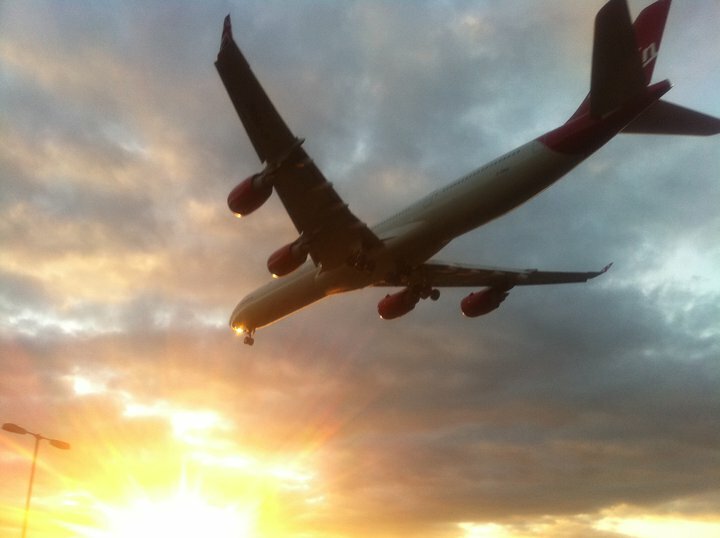 I have loved it ever since and can't wait to do what I have always wanted to: to fly! I have joined the club of aspiring Airline Pilot. Karlene: You’re amazing with all the volunteering you’ve done. Can you tell me about your aviation events and how you got started teaching at Air Cadets, and volunteering in aviation related events, as well as your involvement in Air League? Dipeet: I use to be at Air Cadets was given this fantastic opportunity to teach Aviation subjects for First Class & Leading Cadet level which included Principles of flight, Airmanship 1 and 2 along side I also had a bonus, loving flying very much and knowing a 'little' bit more I was given an opportunity to teach on Flight Sims to cadets giving idea of basic instruments, circuits and general handling before they go of to have real experience in the Grob Tutor aircraft. I had totally loved it I had gained an amazing new experience on how to confidently teach the right stuff, make sure its understood and in return make sure the results from exams are great. Fortunately everyone I had taught passed. I am an Air League student member, which is an Educational Trust which provides flying scholarships, engineering scholarships, balloon scholarships along with gliding to help young people support their ambitions to fly and get that initial step towards it. Being a member we also go to places like RAF valley, RAF Lyneham, sim visits to fly with BA pilots! It’s great fun great way to make a network really. Karlene: What is your favorite part of teaching and/or volunteering? Depeet: I would honestly say volunteering because the teaching I did was by being a volunteer, helping out at flying events to raise awareness again by being a volunteer, simply helping the Air League a lot by being a volunteer because they provide us so many things like flying, gliding, career advice, activities, etc. I would really like to help in whatever I can. I also love teaching not that I am an expert of anything, but I love to see people go 'what on earth is that' and after 2 weeks they pass an exam with flying colours knowing exactly what they didn’t know before! Its great to see someone progress. I was very nervous at first but it was aviation subjects I had extra interest in it so I was able to teach at a standard. Karlene: Tell me a little bit about the scholarship you won. How did you win it? Dipeet: Keeping ongoing love for aviation always inside my heart, I decided to apply for the Air League Flying Scholarship competition 2011 through www.airleague.co.uk I had won the Flying Scholarship which was 12 hours towards my PPL. For me it was extra special because it was my first official flying career start so I started from 0 went all the way to Solo in 9 days in 10 hours! Best 12 hours of my entire life, it was so amazing to be flying specially after all those years you have waited for and going Solo in matter of days being in a Cessna I cant describe how brilliant it has ever been to me. The way I had won it was writing the best possible essay I could, and spell checking it 100 times before sending it off. Once you are through the initial you go to an interview round. I decided not to be over confident and start to plan from square 1, which is ‘why do I like airplanes’, ‘what do you know about becoming a pilot’ not that I dint have an answer to that but I wanted to make it have a steady progress on preparing for this date. Preparing for the interview was a challenge in itself I had to practice my speech, communication tactics, putting all my hard earned research into 1 format, being up to date with current affairs in aviation and most of all learning to be yourself in that controlled environment. Finding out in real honesty of what I was good at and where lied my weaknesses, long term planning and most of all interest in flying ‘that bug’. So I think that was the main reason why I had got it because its to prove your commitment and have clear goal towards why you want it will certainly get you in a nice position. Karlene: Do you have any family members who fly? Dipeet: Unfortunately NONE! I am in fact the first ever person in my family and family (cousins, uncles, anyone else) to ever go flying. I can't truly understand why they are not interested. It’s a downside not being in an airline environment, which I really wish I did, but it also makes me to all the research and work myself to prove that I really want it. But I am planning to start a a new flying trend in future so there will be next time. Karlene: What are your ultimate goals with flying? Dipeet: My very short-term goal at the moment is finish off my Private Pilot's License. 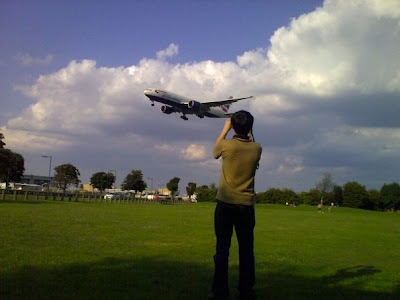 My medium term goal is to get the Airline Transport Pilot's License and what I would call my main career goal is to fly for British Airways as First officer and work really very hard to become a Captain and ultimately working even harder for the ultimate aim which is to become a Training Captain. Because I would always love to stay in the industry as a Pilot no matter what. If possible help others when I have enough experience in my life. Nothing better then helping young people to fly, I love it when other pilots help me I would do the same when I am old. Karlene: If you could give anyone advice, what would it be? Dipeet: As a student just like any other person, I would always say to anyone before starting to fly make sure you hold a medical certificate! I cant stress enough on how valuable it is along side when training make sure YOU use every hour in sky to best because flying school are doing their job to get you through but it is YOUR responsibility to learn, adopt it and enjoy it. Because flying isn’t like 'yea that will do' it is a job of 'knowing your stuff up to date' and also keep loving airplanes it is very hard to start fund etc. I have the same problem of on going funding talks but that wouldn’t let me work towards what I want to be, what I have always aspired too. I can't wait to turn my dream into reality its just fascination and all will be rewarded sometime in future. Many pilots honestly say it is though job and it is but if you love it you should be ready for it. Better then 9-5 at an office. Karlene: What has been your greatest struggle and how did you overcome it? Dipeet: My biggest struggle in this day and age is the funding! It's the biggest pain for any student pilot who really wants to make this a career. The way I am still overcoming this is by saving as much as I can, correct planning, right decisions, taking decisive actions and some sacrifices for couple of years for this well worthy career of flying. To over come it is simple: Believe in yourself make things happen don't wait for someone else for to do it for you. Dipeet, I know you’re going to make all your dreams come true. Keep working hard like you are, and never give up. Continue to believe in yourself... I do! And don’t forget to drop on over to Critique Sisters check out the advice I gave you for writing your book. Trivia Tuesday: What Good Is It? You're not my Flight Instructor? Tips on Flying the Boeing 747… and other Jets.